Becoming a parent is the beginning of a new life in more ways than one – both for the child and for the parent. Parenting can bring significant changes to one’s life and career and it has been well documented that women in particular can find it challenging, if not impossible, to continue their artistic development after their baby has arrived. 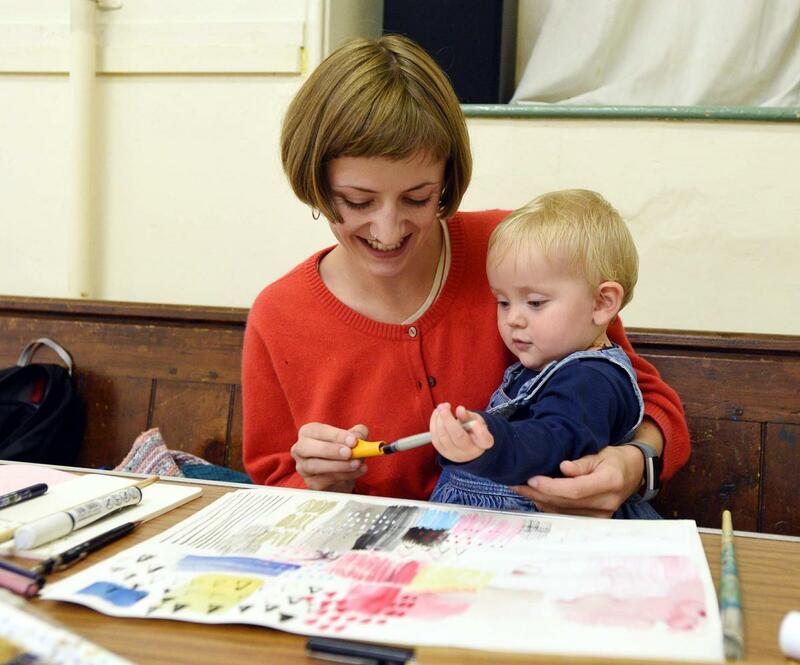 Dyana Gravina, founder of the Procreate Project, together with artist and mother Naja Hendriksen, will deliver a workshop exploring skills and methods for maintaining an art practice while caring for small children. This workshop will be both discursive and hands-on. It will be two hours long, and will include a break. The session is aimed at parents, but we also welcome anyone interesting in joining in. Children of attendees are also very welcome to join! Groundwerk is a monthly series of free practical workshops for artists and creatives wishing to gain the skills to support their practice. This session is programmed as part of Art Licks Weekend. Dyana Gravina is an artist, facilitator, activist and art producer based in London. She is a women-artists-mothers’ rights advocate, and is the founder and creative director of the Procreate Project. She has worked for over ten years in the entertainment industry, events and the contemporary arts. Independently working for other organisations and agencies, she has led international productions and established collaborations with brands and institutions including the Venice Biennale, IPM International Music Conference, The Devine Comedy musical theatre, Goldsmiths University of London, Royal College of Art, LADA, and Create London. Naja Hendriksen creates objects primarily using industrial or construction materials that become part of larger installations. Lately Hendriksen has made performances to form part of her installations, in which artists work with and investigate the objects further. Hendriksen received her Master’s Degree from Royal College of Art in 2018, whilst being a fulltime mother of two, and running an artist-led exhibition space called Space Twentysix.